Ann Weisgarber is the author of the new historical novel The Glovemaker, which takes place in Utah in the 1880s. 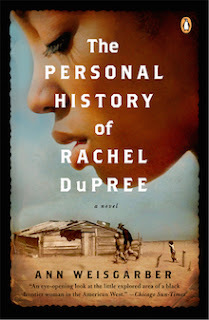 She also has written The Promise and The Personal History of Rachel Dupree. She lives in Galveston, Texas. Q: How did you come up with the idea for The Glovemaker, and for your character Deborah? A: It started with a vacation in Utah’s Capitol Reef National Park and an apple. The park service maintains the orchards that were originally planted in the 1880s by white settlers, and allows visitors to pick fruit during harvest season. The apples were ripe when I was there a few years ago, and as I climbed a ladder to pick one, I thought about the people who planted the trees. Who were they? What drove them to live is such an isolated and harsh landscape? Haunted by these questions, I bought a few books at the Visitor Center. One of the settlers was a married woman who owned 20 acres in her own name. Doing more research, I discovered that she didn’t have children and her husband had disappeared from public records. 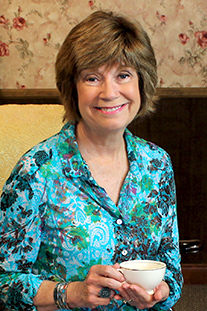 This woman became the inspiration for the Deborah character. Q: What kind of research did you do to write the novel, and did you learn anything especially surprising? A: The research ranged from reading a graduate thesis about Utah Territory’s marshals, to reading The Book of Mormon, to a hike in the snow in search of Floral Ranch, the hideout for men who attempted to evade arrest for having plural wives. What most surprised and shocked me was the persecution of members of The Church of Jesus Christ of Latter-day Saints (LDS or Mormons) during the 19th century. Before settling in Utah, they were driven from New York to Ohio, to Missouri, to Illinois, and to Nebraska. Church members know this history but it’s probably fair to say that most non-church members don’t. Q: The novel is set in Utah in the 1880s. How important is setting to you in your writing? A: Setting is everything for me. It’s what I begin with. I’m drawn to the landscape and then I begin to think about the people who lived there and how the terrain and weather shaped their lives. 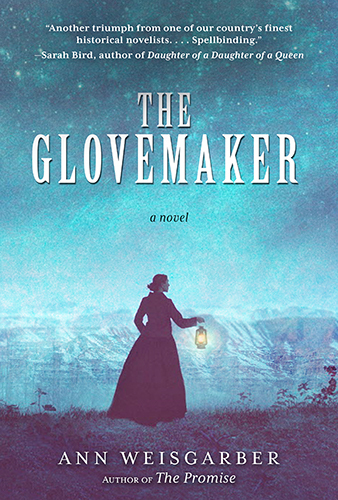 The historical events that impact The Glovemaker could only have happened in Utah’s canyon country. A: My hope is The Glovemaker makes readers aware that America’s history is messy and complicated. A: The next novel takes place during World War II in a rural Texas town where 4,000 German POWs were housed in a prison camp. That’s all I’m going to say since it’s early days and it’s subject to change! A: I live on an island off the coast of Texas, and I’m a fan of the Astros baseball team. 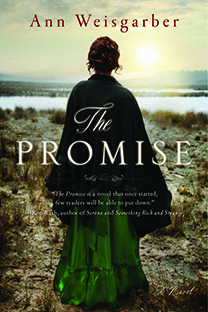 My novel The Promise takes place on the island but as tempting as it is, I don’t see a baseball novel in my future. But now that I think about it, the German POWs did play baseball in the camp. Deborah, many thanks for including me on your blog. It’s an honor and a delight to be one of “your” authors.